Iron ore prices have been extremely volatile over recent years, with the market characterised by both concentrated demand and supply. Iron ore is the key ingredient in steel production, with the latter having wide-ranging applications in construction and in the manufacture of consumer goods. While being the world’s biggest producer of steel, China is the main producer of iron ore but also the leading importer. Around 70% of all iron ore imports go to China, with Australia as by far the largest exporter. Supply is controlled by a relatively small number of mining companies; Vale, BHP Billiton and Rio Tinto are the top three producers. Fortescue Metals counts as the world’s fourth largest producer. China’s economy and the policies of its government understandably have a big impact on iron ore prices. When the Chinese economy is in acceleration mode, iron ore prices generally pick up. At the same time, the actions of the miners also have an important bearing; shutting mines when prices and demand are lower can mean prices rise all the more sharply once demand picks up. Meanwhile, the big players have also used temporary market weakness to grab further market share from smaller producers. As a capital-intensive activity, the big producers reap the benefits of large economies of scale, making it extremely difficult for smaller players to compete with them in the long term. Rising demand, principally from China, but also other emerging market countries saw iron ore reach a peak of $191.9 per tonne in 2011, marking the top of the commodities super cycle. The Chinese economic slowdown of 2015 and the resulting fall in demand for iron ore had a profound impact, with the raw material slumping to a low of $37 per tonne in December of that year, a decline of around 80% from its 2011 peak. Now trading at $62 per tonne, iron ore has recovered by 67% from the late 2015 low. There has also been some interesting price action over the past year, underlining iron ore’s inherent volatility. As China’s economy firmed, iron ore prices jumped by around 140% from the 2015 low, to trade at over $90 per tonne early in 2017. However, the metal has given up some of these strong gains, losing around 30% since then. While there has undoubtedly been a degree of profit taking by investors from when iron ore breached the $90 per tonne mark this year, prices have also been impacted by Chinese government policy. Chinese steel production, for which iron ore is the key ingredient, reached an all-time record of 74.59 million tonnes in August, but in September subsequently fell abruptly to the lowest level since February, at 71.82 million tonnes. While the Chinese economy has been growing at a brisk pace this year, government plans to curtail steel production as it seeks to reduce pollution have begun to hamper iron ore. Correspondingly, iron ore shipments to China slumped 23% month-on-month in October to 79.5 tonnes. China has ordered the production curbs to take place during the Chinese winter heating season that runs from October to March as part of plans to cut down on pollution in the smog-hit Northern provinces. This all means that iron ore prices could fall further over the coming months as demand for the raw material continues to ease. 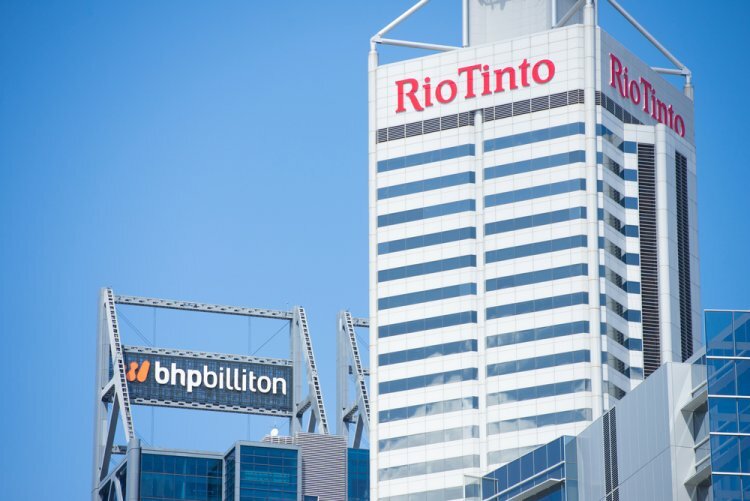 Rio Tinto and BHP Billiton are two of the most important producers of iron ore. Some investors believe iron ore prices could pick up next year once China’s production cuts have come to an end. However, this is far from being a unanimous view, with some analysts citing broader worries over the outlook for the Chinese economy next year as justifying a more bearish stance. For instance, investment firm Schroders has warned that iron ore could easily slip to below $50 per tonne next year as Chinese economic growth slows and the government continues to wean the economy off credit. What’s pretty certain is that there is going to be plenty more volatility to come for iron ore over the coming years. The concentrated nature of the market, both on the supply and demand side, and its extreme economic sensitivity given that it is a vital ingredient in steel production, mean there is bound to be some more big troughs and peaks to come. Investors can look to profit from these moves by buying or selling iron ore futures directly. As an alternative, investors can also look to take positions in major iron ore miners such as Vale, BHP Billiton or Rio Tinto.